Today’s CommSec State of the States report shows Victoria leading the nation in construction work, just days after the Australian Bureau of Statistics confirmed more jobs had been created in Victoria during the past year than any other state. Victoria’s jobs boom continues, with jobs growth continuing to climb and the State seeing the highest annual employment surge in the nation. More than 20 Victorian defence companies have taken part in a business workshop as the Andrews Labor Government helps build a defence industry of the future. The Andrews Labor Government’s multibillion dollar pipeline of infrastructure projects is driving a new era for local steel production in Victoria and creating new manufacturing jobs. The Andrews Labor Government is helping former automotive workers manufacture some of Victoria’s lifesaving fire and emergency response vehicles. The Andrews Labor Government calls on the Commonwealth to use the Defence White Paper to secure the future of Victoria’s Williamstown shipyards. 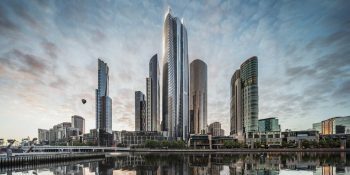 Victoria’s construction industry continues to power ahead with the latest figures from the Australian Bureau of Statistics (ABS) showing an 11 per cent increase in construction activity throughout the state in 2015. Victorians are being urged to slow down and drive safely as works on the $1.28 billion CityLink Tulla Widening Project ramp up. Tigerair will base an extra three aircraft at Melbourne Airport for its new direct service to Bali, creating 70 new jobs.